We’ve written before about free Fix-It Clinics in Hennepin County (yes, these are still going! 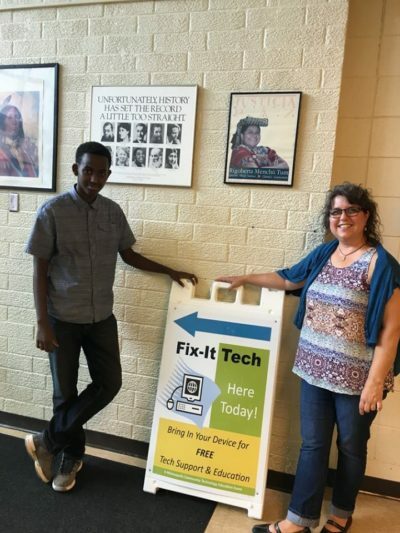 ), but if you need tech support, you’ll want to stop by one of the free Fix-It Tech events around the metro area. These free community technology education events are run by volunteers who provide computer repair, educations, and resources. If your computer or laptop is slow, not working, or seems to have a virus, bring it in for free tech support. Bring your laptop, and/or desktop tower and power cord. Volunteers help with laptops, smartphones and tablets based on capacity. Short sessions are held to explain basic computer maintenance and Internet safety.